Florida has long been known for its natural beauty and a wide array of trees. From tropical palm trees to old oaks and pines, there are many types of trees available to help make your home look beautiful. Unfortunately, with so many different kinds of trees in the Spring Hill/Brooksville/Shady Hills Florida area, it can be difficult to a find reliable tree care company for your needs. That’s why for the best choice in professional tree service, there’s one company more area residents trust over anyone else. Spring Hill Tree Specialists has been servicing our community with fast, affordable, and dependable services to help more homeowners with their tree services. Whether it's Emergency tree removal, tree maintenance or stump removal, when you need a professional tree service we are here to help. We provide services to commercial and residential customers. All work is guaranteed. We promise courteous, prompt and professional service every time. And more great options for your home’s tree care needs. Before you wind up using several companies for the same yard, let us save you time and money handling it all for less. 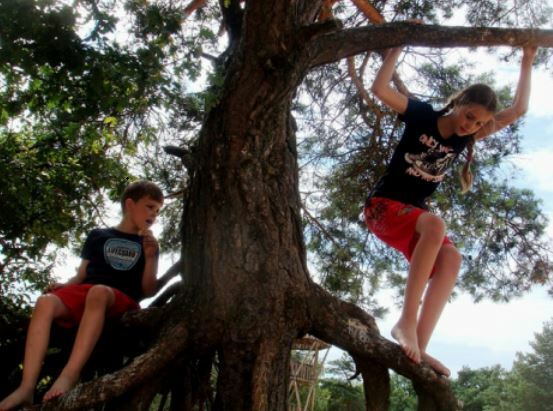 You may not think it, but tree emergencies can happen at any time. Because trees are so large and sturdy, they can lead to a false sense of security one might be tempted to believe that they will be around forever. However, trees are still plants, no matter how large they may grow. All it takes is one devastatingly bad day to send them crashing down; putting you, your family, and maybe even your neighbors at risk. When lightning strikes, high winds, and bad weather lead to the need for emergency tree services, don’t trust your tree’s removal to just anyone. We are experts at analyzing the situation and determining the safest removal option. If you have a tree that is infringing on your home or car, call us for help. We offer tree removal service. Whether it’s the wee hours of the night or early in the morning and you’ve noticed a tree putting you in harm’s way, don’t hesitate to call us. We’ll be there fast to protect what you care about the most. When a tree has taken over your yard, removing the tree can actually be a lot more work than you anticipate. From needing to purchase or rent the equipment, figuring out how to use it safely, and finally trying to figure disposing of what you cut away, tree removal is no easy task. Cutting trees down can also be dangerous work, and if you are unsure of how to do it properly, it can open up a can of worms that you hadn’t anticipated having to deal with and more than likely will regret starting. Our pros take all the work and danger out of tree removal. We provide pricing for both the tree removal and any additional costs associated with labor, disposal, and other related service factors. We will ensure you are aware of all potential charges before the project begins. We offer our customers a complete range of services to beautify their property. No matter what your home needs to look great again, we offer the best and most affordable options each time. Before you struggle with an expensive and potentially dangerous afternoon of struggling with your trees, let us help you. ​Branches hanging over can lead to major damage to your house or pool cage. Don't wait until a Hurricane is on the horizon. Call us now for a storm evaluation before the damage is done. Many companies may offer palm tree trimming services, but palm trees require different tools, equipment, and know-how to treat properly. 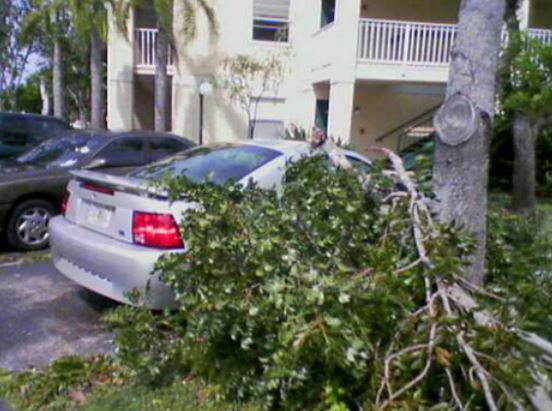 We’ve seen more than one palm tree wind up injured, sick, or killed from improper trimming, and homeowners and companies not knowing what they’re doing. Our company services more palm trees than anyone else, giving you a fresh, clean trimmed palm tree and clearing away overgrown and dead fronds safely and efficiently. We know the right way to saw away and trim off palm fronds without hurting the tree, leaving your palms looking like they’re brand new. When your palms need professional trimming services, call us first and have quick, correct trimming performed for less. Whether you have stumps left behind from a previous tree removal, or you’ve had us cut a tree down for you, you need fast and affordable stump grinding. Many equipment rental services don’t even offer tree stump grinders because of how large they are, as well as difficult to operate. And if they do carry them in stock, chances are they’re old and worn out. Once you bring it home, it could take hours to wear away your remaining stumps, and you’ll probably wind up needing to rent it for an extra day or even longer. Suddenly an inexpensive do-it-yourself job has taken a lot more time and money than you initially thought it would! Our team uses professional grade stump grinders to remove more stumps faster. Whether you have one stump or many, we can ensure they’re completely gone in no time at all. When you need dead tree stumps gone fast without spending a fortune, we’re the best choice for your stump removal services each time. Whether you have large branches growing a little too close to home, or you simply need routine trimming maintenance services, we know the right way to remove your branches. Other companies cut off too many at once, leaving your trees in a state of shock, or worse, leading to them dying off prematurely. We understand that more isn’t always necessarily better, and our team knows exactly how and where to take tree branches off with quality trimming services. 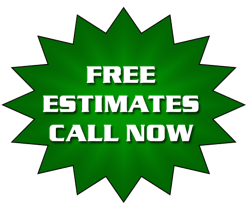 Whether you need emergency tree trimming services, or need to hire us for routine tree trimming, you’ll find us to be the fast and affordable choice over any other local tree care company. To safely and more efficiently trim all of your trees, just call us first. And if your trees only need a little pruning to look great, we offer fast, accurate pruning services as well. By pinpointing dead leaves, fruits, or branches, we can quickly shear and prune away overgrowth and dead spots to help your trees look better and grow healthier than ever before. Other service companies only shape up trees and shrubs without removing what they should. For the best choice in tree pruning services, let us help you! We are always aware of electrical wires, TV dishes, sidewalks, and roofs. We make certain that your tree removal, tree trimming, tree cutting, tree pruning, stump grinding is done the safely. When we see potential risks for your property, plants, and family, we make sure to quickly take care of it to give you the peace of mind you need each time we service your home. Before you allow low-quality tree care companies around your yard, call us and keep your family safe. Call Spring Hill Tree Specialists at 352-340-2324, or fill out our convenient form for your free estimate or pricing questions. We are here to help with all of your tree servicing needs.